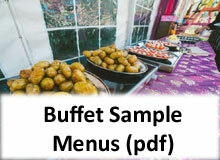 Here are some examples of menus we offer. Any questions you have, or any tweaks you want to make, just ask. 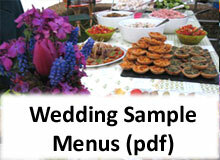 And once you’ve got an idea of what you want, fill in the booking request form. Note. 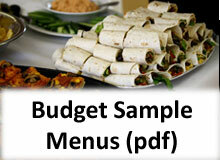 The sample menus are in PDF format, so you will need a PDF viewer such as Adobe Acrobat installed on your computer/mobile device. Or you can download the Word versions directly below them. We charge delivery costs of 40p per mile.